Against all conceivable odds, Issue 98 has arrived, our first new issue since November 2006. 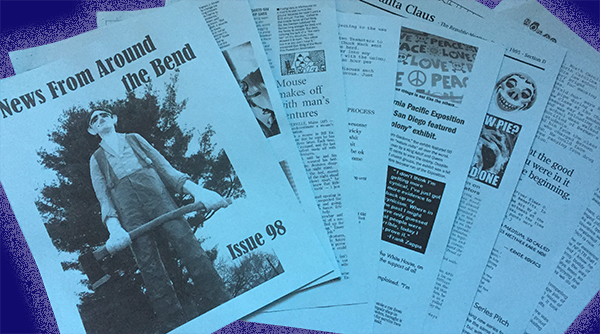 News From Around the Bend is best read when printed double-sided on colored paper (we even leave gaps in the corners for the staple! ), but you are welcome to print or read the whole issue right now any way you see fit. Welcome to the home of the NEWS FROM AROUND THE BEND! From a dorm room in Leebrick Hall at Kent State in 1991, to a legion of photocopiers, to a website or mobile device near you: we are here for you. We hope it helps you find what you seek. Or at least amuses you a little during the search. Completely forgot this existed, and I totally had one. We definitely made the cookies. I don’t remember if they were good. 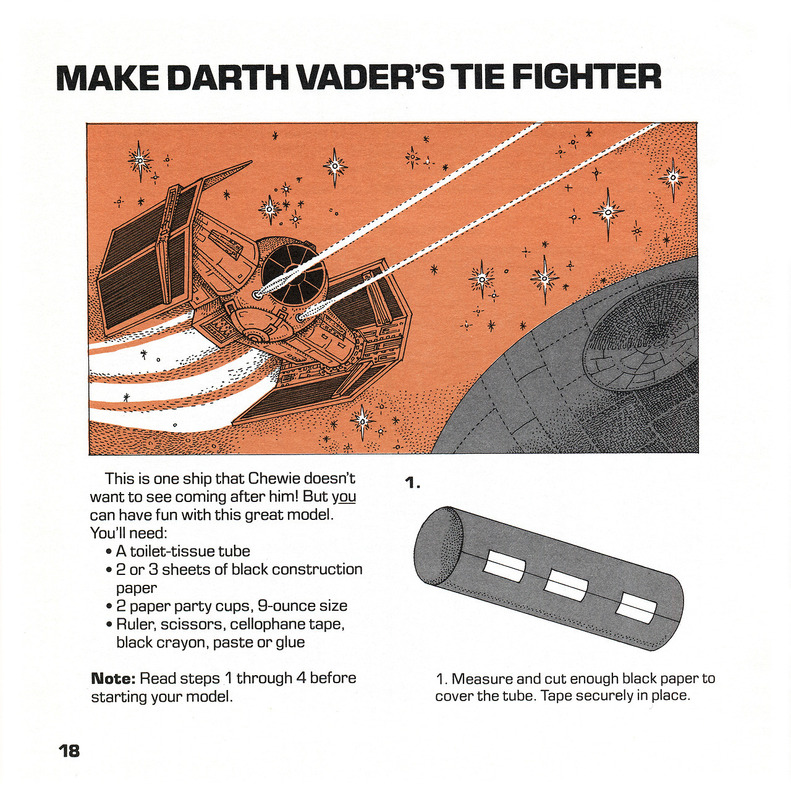 I made that Tie Fighter for sure, but that was FAR from my only paper & cardboard spaceship. I made cardboard ships with multiple levels, wings, and rectractable landing gear. These things had control rooms with panels and chairs, and some rooms had sliding doors for privacy. For years, even long after I got out of the action figure game (before rejoining it as an adult), I saw any cardboard box that entered my sight as a potential ship, with designs popping into my head as soon as I saw it. 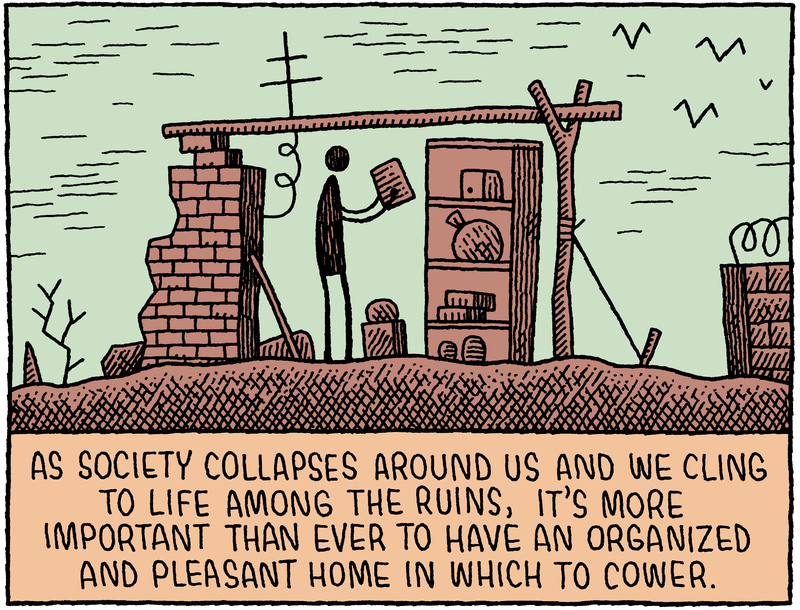 And somehow not a whisper, not even a photograph, of any of those things survive. Which makes me really want to build some now. Click on through for a positive spin.